Fermi is Nvidia's new GPU architecture that's going to be the basis for all of its upcoming graphics cards. 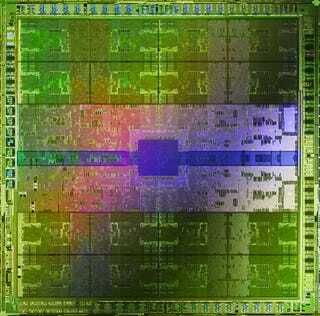 With 512 cores and 3 billion transistors, it will nuke Crysis. The architecture really is a huge leap forward, according to people who've gone through it in-depth. Interestingly, the huge focus for Fermi is GPU computing. The first actual goods coming out using Fermi should be the GT300 series cards, which, besides the 512 cores sorted into 16 streaming processors with 32 cores each, uses a brand new GDDR5 memory setup.